When Sala of Veggie Belly asked me to guest post for her while she was traveling, I said yes, of course. You probably remember Sala from her guest post, White Peas Sautéed with Green Mango and Coconut,in my India Series. Sala is a well seasoned traveler and I cannot wait to hear her impressions from her quick trip to Israel, while she is, for the first time, in the Middle East. Sala wanted me to make a dish from home and Baba Ghanoush is always at the table whether at homes or restaurants in Israel. 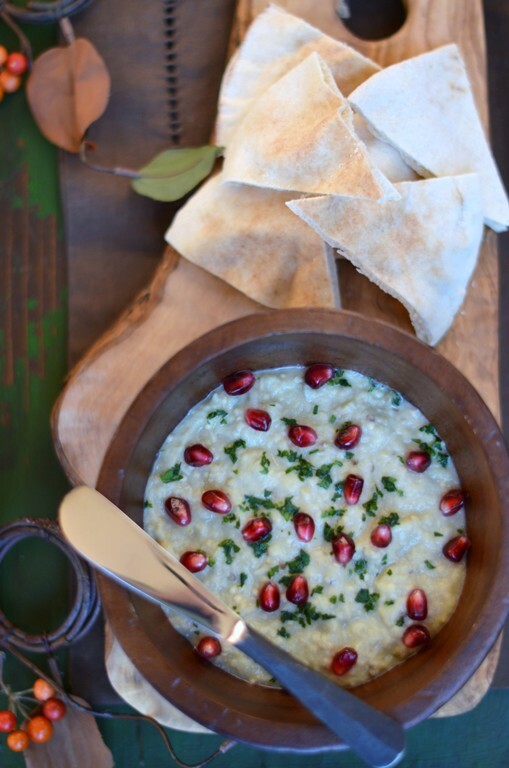 Baba Ghanoush, an eggplant dip or salad, more widely known as a Lebanese dish, is wide spread throughout the Levant, Egypt and the Balkans. The Levant is the crossroads between Western Europe, Eastern Mediterranean and Northern Africa. 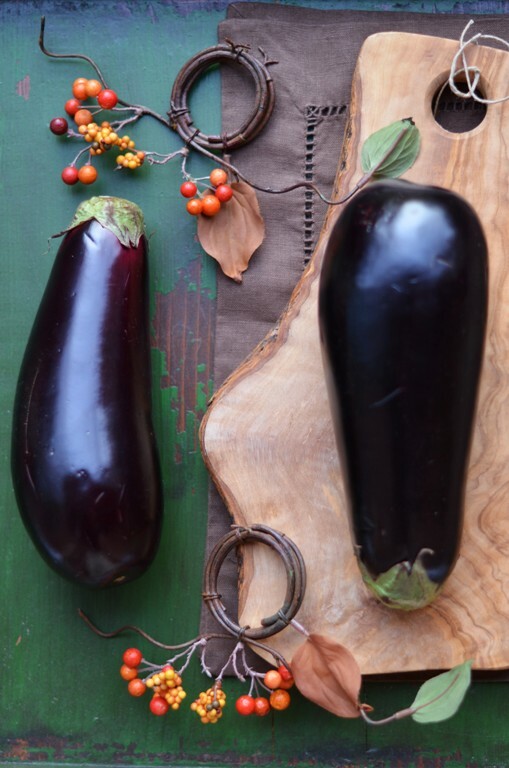 Before I send you to hop over to Sala's site to read the rest of this entry, see more Baba Ghanoush photographs and get the recipe, please make sure to read about her in my introduction to her in her guest post in the India Series. Please also follow this very talented blogger on twitter @veggiebelly and Like Veggie Belly on Facebook to read about her voodoo Donut debacle at the airport. Fabulous! I adore that lovely dish. Absolutely perfect for NYE. I just saw that a store nearby had eggplant way cheap, I'm inspired to pick some up now! Beautiful pictures - as always! I've always wanted to learn how to make babaganoush. These pictures are mouth watering. Thanks shulie! I could eat this all day! This styling is SO gorgeous Shulie! And I love Baba Ghanoush! Such a great recipe! This is one of my favourite dips! Thank you everyone for the kind words and the best wishes to you all in 2012. This looks stunning and as always your photos are so crystal clear and enticing. Saw the recipe in Bobby chin's show first time and have made it quite often since then..your pictures are tempting me to make it again! Need to hop over to Sala' blog and check the recipe. Happy New year to you and yours Shulie.